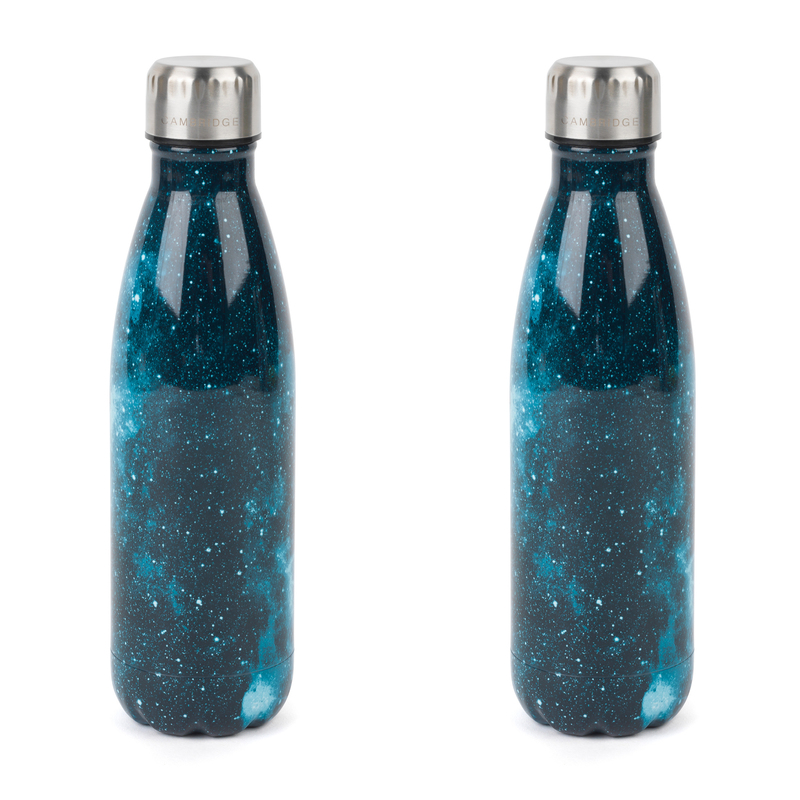 These reusable Cosmos thermal flasks from Cambridge mix simple functionality with a science fiction-inspired pattern that is sure to stand out from the crowd. 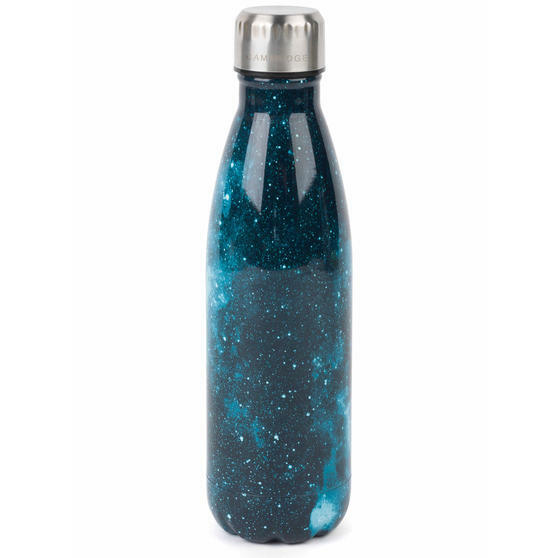 Featuring a stunning design depicting a sky full of stars, the leak-proof, 500 ml stainless steel flasks measure 25.7 cm x 7 cm each for easy transportation. Perfect for hot tea and cold soft drinks alike, their high-performance thermal lining keeps liquids cold for up to 24 hours and warm beverages hot for up to six hours at a time. Keep your drinks the perfect temperature with these thermal insulated flasks from Cambridge, featuring a generous half-litre capacity. 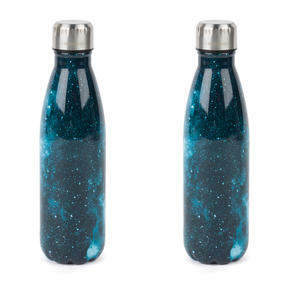 Stylish and functional, these reusable travel flasks are adorned with a beautiful space-inspired pattern displaying a galaxy of stars. With a secure screw-top lid, these robust stainless steel flasks are fully shatter and leak proof, making them ideal for everyday use. Designed with safety in mind, their BPA-free construction ensures that no potentially harmful chemicals are released during use. 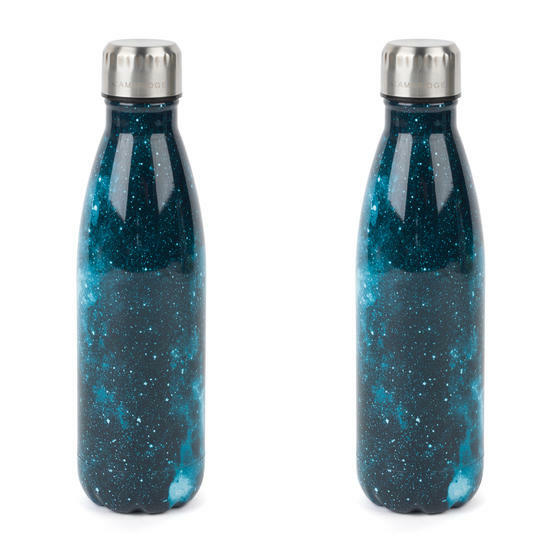 Measuring 25.7 x 7 cm each, these handy thermal flasks are an ideal companion for long car journeys or keeping in your bag on the go.